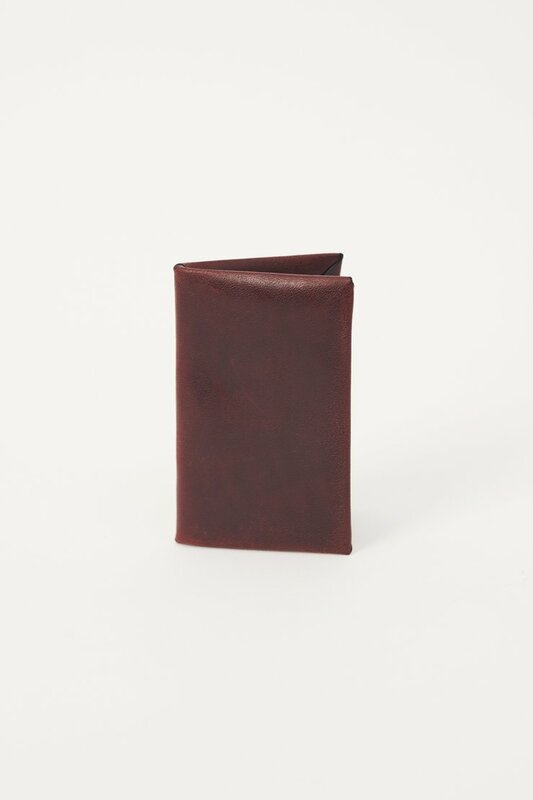 Our Chorus Bi Fold Card Holder in Burgundy. 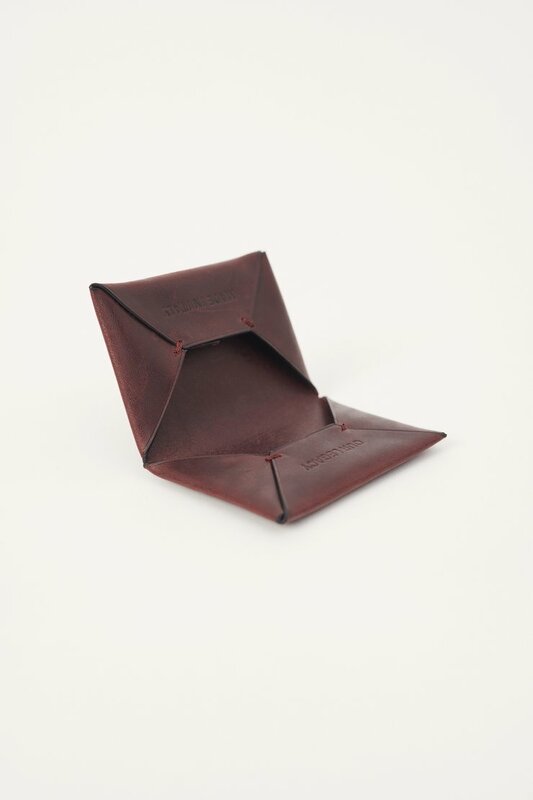 Designed for everyday use, Chorus is a folded design with two pockets, providing space for cards, cash and receipts. It is cut from a single piece of soft Italian horsehide, bonded to a nappa leather lining and secured with handstitch detailing.